Nut Kreations has been creating unique and delicious snacks since 2011. 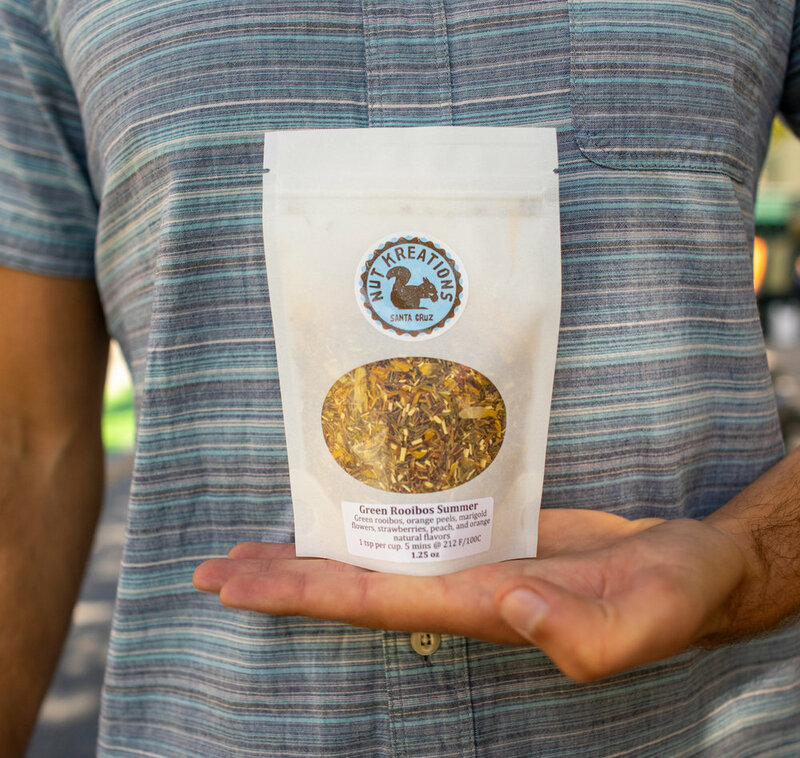 Our goal has always been that you enjoy what you snack on first and foremost, and that it be sourced locally from responsible environmentally conscientious growers & roasters, and kept hermetically sealed fresh until you buy it. Above all else we have one guiding rule: IF IT DOES NOT TASTE DELICIOUS THEN WE DO NOT SELL IT! We believe you should get only what you want in your snacks, nothing you don't. That's why we make it easy to get what you want. 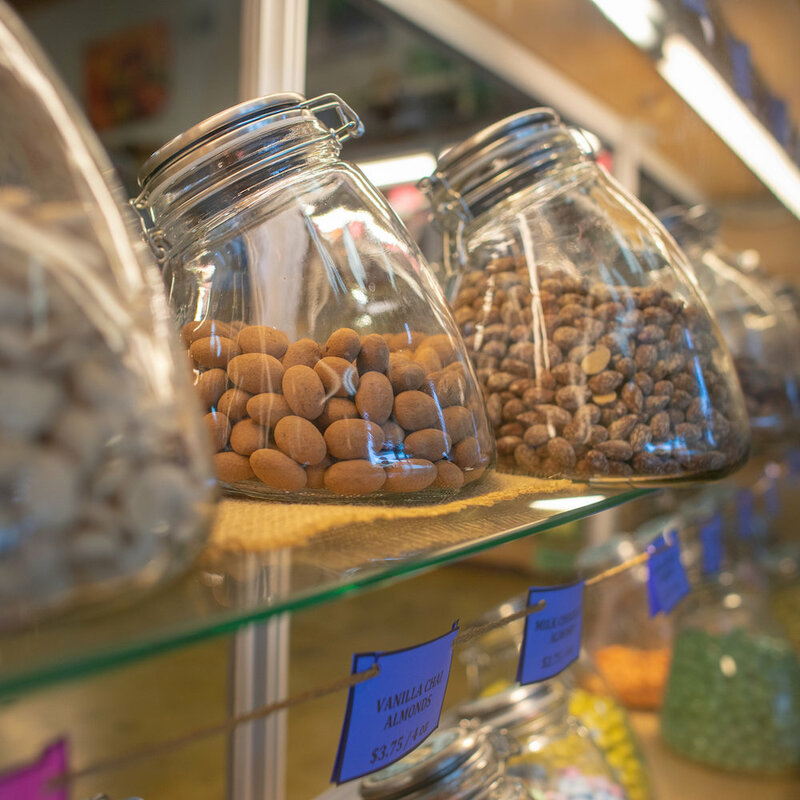 So if you want something more traditional and classic like honey roasted peanuts or chocolate covered apricots. No problem not only do we have all that but we source only the best stuff from local California farms. And we pack and heat seal the product fresh only after you order so it always gets to you fresh and tastes great. If you fancy yourself as some type of snack alchemist and lean towards more exotic or just plain weird flavor combinations, then you’ve come to the right place. Say… Mixing salt and pepper cashews, with spicy chili peanuts, dried chili mango, tart dried cranberries, sesame sticks, and barbecue chickpeas is your thing… No problem! Not only do we make it easy for you to kreate your own mix but we salute your adventurous palate. If we don't have what you're looking for due to dietary constraints like vegan or kosher options in a specific category we will work with our farms and roasters to find you options. So drop us an email or a phone call with your specific needs and we'll see what we can do. We are always expanding our catalog to include everyone's unique needs. We have only one guiding principle. We do not sell it if it does not taste great!